Am I the only who has to stop and think when clicking block or allow due to the colors. Typically STOP or BLOCK would be Red and allow or safe would be green. I have the SAME exact problem with the color on secureaplus as I do with the photo below when trying to say the name of the color not the word. Great feedback. Yes, we are also considering switching the colors for Unblock & Trust (currently red, suggested green) and Continue Blocking (currently green, suggested red). As most of the Beta Testers know, the current color scheme was because of how we are encouraging users to choose an action based on the color. Continue Blocking is the safest course of action in most cases which is why it is green, because to a certain extent we are telling users that if you don't know what to do, this is the safe choice. On the other hand, Unblock & Trust is the risky choice, hence the color red. 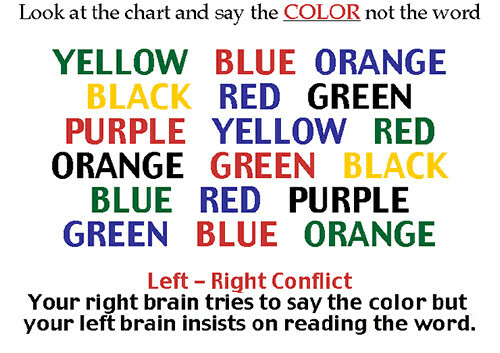 Firstly, of course is to follow the recommendation that others are making (including yourself) and switch the colors. Another option we are considering is to release a theme that is much more neutral on the actionable buttons (allow, block, delete, quarantine) in terms of color. Look forward to some of these changes possibly making it in a future update. Once again we appreciate the feedback and the effort you took to drive your point home. I just saw the color change in the new version ....SOOOOOOOOOO MUCH BETTER!!! i LOVE it... great job guys!